Betfair joins ecoPayz – switch now! Betfair has integrated ecoPayz! We are happy to announce that ecoPayz just added one of the bigger players on the sports betting, casino and poker market. The rolling-out period has already started and we cannot guarantee that it is available for customers from all countries already, however it should already be available for almost all of you. 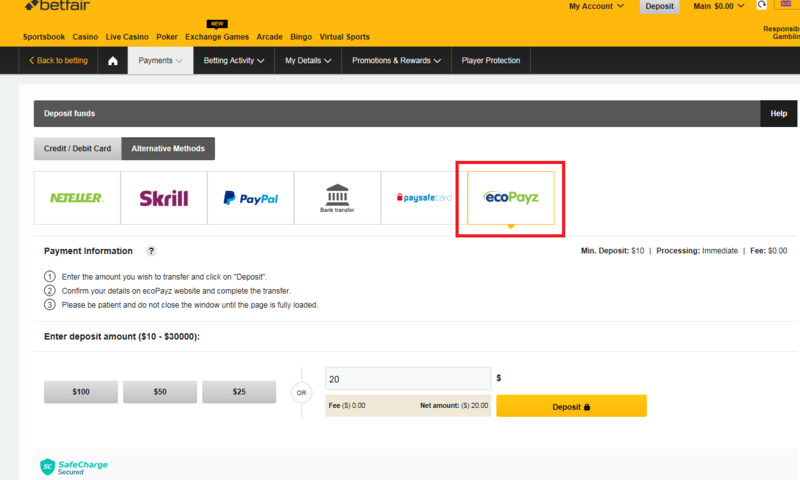 To find ecoPayz in betfair, please go to the “Payments” tab and choose “Alternative Methods”. There it should be listed for most of you already. If not, please make sure to get in touch with betfair support to ask to get it added to your payment options as well. Betfair is one of the biggest brands on the market and one of the best places you can choose to place your sports bets. Combined with our ecoPayz Bonus Program you can now benefit even more and not only enjoy great odds and games, but also enjoy lots of other benefits by signing up your ecoPayz accounts with us. Monthly cashback of 0.6-1% for your deposits. Instant gold VIP Status with free MasterCard. Highest Transfer and Withdrawal limits and Bonuses. Fully verified within a few hours, 7 days a week. ecoPayz is constantly growing and becomes more attractive day by day. In combination with our deal you will make sure to get the full package and add some extra cash to your profits. Make sure to not miss this chance and sign-up your ecoPayz account now. Betfair joins ecoPayz – Looking for a way to fund your ecoPayz account? There is no option to directly transfer your funds from Skrill or NETELLER to ecoPayz, but we can help with that: To have an easier start with ecoPayz, we can help you move your funds. For further information about this, just contact us . We will make sure you can easily and fast get started and making your first deposit to ecoPayz. 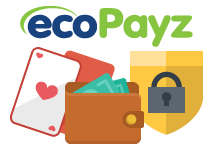 Everyone who is looking for the best odds and trying to add as many bookmakers to his portfolio as possible should also check our ecoPayz Merchant list, where you can find a full overview of all sites which also offer ecoPayz as a payment option to their customer. For any further questions about ecoPayz or Betfair, please do not hesitate to contact us . We are happy to help.